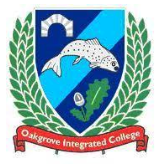 Mrs Gemma Kelly, Head of Art at Oakgrove College remarked after a return visit by the Uberheroes® facilitators visited the school. In December 2016, a group of our students participated in a workshop facilitated by staff of Hope 4 Life. The students enjoyed the opportunity to share their experiences and contribute ideas for a comic called ‘Uberheroes®’. The focus of discussion was the problem of cyberbullying. Next students brainstormed how they might illustrate their ideas in comic book style. At the second workshop (June 2017) students were able to see the finished product-Vol 1. Genesis. The Uberheroes® comic incorporated real life stories communicated in a visually imaginative way. This is very useful up-to-date resource that can be utilized by teachers, parents and students. The stories help students to realise that there are other young people who may be suffering similar problems to themselves. Teachers can use the comic book to initiate lessons which will focus on “how to cope with problems associated with the internet” for example, self-harming, and other kinds of bullying. ‘Uberheroes®’ is a visually exciting comic book with illustrations that will appeal to young people. Students thoroughly enjoyed a stimulating workshop which gave them a platform to voice their concerns. 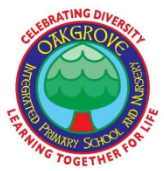 Students at Oakgrove are looking forward to further publications of ‘Uberheroes®’ and an exciting new drama production will be presented in the school next term. Hope 4Life NI is doing tremendous work by supplying invaluable resources for issues that need addressed continually in schools. 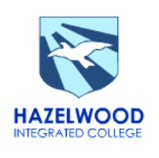 Uberheroes® has been recognised as an excellent tool by Integrated Education. The Northern Ireland Council for Integrated Education (NICIE) is delighted that their schools are working with this new, innovative and engaging programme. CEO, Roisin Marshall, said, “The mental health and wellbeing of young people is paramount and with the many pressures on them it is great that the Uberheroes® programme is available. To have such a programme, whose USP is to enable young people to discuss and problem-solve issues without being vulnerable or exposed, is invaluable. By looking at how the issues relate to the characters in the stories rather than to them directly makes this a safe way of approaching some very difficult subjects and topics. We support and wish Hope4life every success with the Uberhero programme”. Students of Erne Integrated College were delighted to have been involved in the Uberheroes project from the very beginning. This is a unique and innovative idea which foregrounds the problems that young people face and tackles the taboo aspect of these issues head-on. Our Year 9 students were thrilled with the idea of using “superheroes” to personify the challenges that our young people face and the cartoon element of the work carries real cultural currency which resonates with our students. By “outing” the problems that young people face, students are much freer to express themselves, to ask for help or simply see that their problems are problems that are faced by many of their peers – they are not alone. The candid, no-nonsense approach which explodes the taboos has been cathartic for our students and they have found the focus on well-being and positive approaches to mental health to be liberating. The Uberheroes publication cuts across many curriculum areas such as art, English and Literature (through story-telling), areas of Home Economics and personal development. Through the workshops our students acted a focus group and were given the opportunity to shape the end product. One of students remarked that, this was the first time they had ever been consulted about a product or initiative that affected them directly – they placed great stock on inclusion and the consultative aspect of the project. Students also commented that the quality of the Uberheroes publication was so professional that they felt that their concerns had been taken very seriously and that they had been listened to. A number of students even commented that the introduction in the comic was very empowering and made them feel that their voice was important. They noted that the stories featured in the comics were based on real events and were enthused to hear that the writers and artists involved were just a few years older than themselves. We very much look forward to working with Dee and her team in the future and would like to take this opportunity to congratulate all at hope4life.ni on the incredible work that they are doing for our young people. The session was excellent and the facilitators were superb. The issues raised were difficult but the comic strip helped the pupils detach themselves and therefore help the victim in each situation. It is easier to offer advice than accept it or admit it to yourself so the comic hero façade is perfect for their age group. They were so eager to read on and access the website for more ideas. We read the ‘Drug’ poem, dramatized it in class and discussed the serious issue. The whole Uberheroes concept works because it’s not a lecture, it’s not judgemental, it’s fun and accessible as well as engaging and thought provoking. The circle time after the reading session was essential and the discussion helped the pupil’s problem solve and approach mental health issues (and solutions) safely and honestly. The conversations helped them to see a way forward for people with mental health issues, allowed them to talk about coping strategies which they can hopefully use on themselves and their friends or peers. Below are a selection of comments, by the pupils at Lisneal College. Mrs Eibhlin O’Hagan, P7 teacher at Oakgrove Integrated Primary School, Derry, remarked about their involvement with the Uberheroes® programme. In November 2016 a group of our year 7 students took part in an exciting new early intervention programme to tackle social, emotional and mental wellbeing. The team from Hope 4 Life NI ran focus groups across NI and our children were selected to take part in these. They were presented with a unique early intervention concept for young people called Uberheroes® – a concept based on Superhero style comics which dealt with key issues that are currently not covered elsewhere. I was delighted with the interest and mature discussions our children had with the Uberheroes® team. The pupils commented on a 4 page sampler of the comic and were delighted to be asked what their opinions were, what they liked about this as an idea and what they didn’t like, what they wanted to see online for helpful resources, for themselves and for their parents. The pupils freely shared their thoughts on the comic format and how they felt it related to them. They really loved the idea that every story in the comic would be based on real young people and their experiences, was age appropriate and how they would be able to contact the Uberheroes® for advice at any time. They also loved the idea that they would each receive a comic which they also suggested they would use this as a tool to talk to their parents, siblings or friends. Since then we have been delighted to welcome the Uberheroes® facilitation team back with comic 1 which deals with Cyber-bullying and Self-harm and also comic 2 which deals with Manipulation, Isolation, Depression and Drugs. The children have loved being involved and have learnt a lot from these interactive visits from the Uberheroes® facilitators. They enjoyed the engagement and discussions on the issues of cyber-bullying and self-harm, helping to come up with solutions to benefit the character in the story. From these sessions the students were able to think of how they could better cope and overcome these issues, who they should talk to and how the real life advice and guidance given by the Uberheroes staff would be of use in their own lives. These visits have been really engaging; where the children have felt completely involved in the group activities and discussions in which they’ve had a voice to discuss these issues openly with their peers has been an invaluable experience. Subsequently we have now included our partner P7 class with the Uberheroes team on their last visit also delivered the programme to them. We are looking forward to future visits in the next term where the children can learn how to cope and deal more challenging topics. Our year 8 students really enjoyed the Uberheroes visit in January 2018. At the end of the session, the students overwhelmingly agreed that they were better informed about cyber-bullying and self-harm. Almost all reported that they felt confident that they would know how to best respond if faced with either issue in the future. Whilst I value the importance of talking openly about these sensitive issues, I was concerned that some of the students would find the content distressing but this was not the case. The kids identified with and really enjoyed using a “superheroes” comic book to explore the challenges faced by some young people. We are very much looking forward to having Dee and her team back to Shimna next year. Our Primary 7 pupils were delighted to be selected to receive the Uberheroes workshop from the very talented and committed staff of Hope 4 Life. It is fair to say that initially the majority of the class had limited knowledge of mental health issues and in all honesty, in their naivety, they found it difficult to comprehend how such a topic could relate directly to them. However, as the session progressed, it became apparent that at such a tender and impressionable stage in their lives, each and every one of our pupils found that they could relate to at least one or two of the scenarios that were discussed such as self-image, self-esteem, confidence and bullying. Even the more delicate topics of depression, self-harm and suicide were touched upon in a very sympathetic and sensitive manner which undoubtedly gave the children the confidence to ask questions and explore these areas in more detail. The session itself was extremely engaging and interactive, incorporating the clever introduction of the Uberheroes comic book which highlighted many of the ‘real-life’ situations faced by children in our fast-paced and demanding society. Through the staff’s skilled facilitation of group work and discussion, the children were encouraged to consider how they would react if they were to encounter similar situations. Throughout the entire workshop, emphasis was put on educating the children first and foremost, providing them with coping strategies whilst providing a safe platform on which to express their concerns and opinions regarding a variety of topical issues. All-in-all, this was an exceptionally informative and worthwhile experience for our pupils, accompanied by some colourful, eye-catching and of course, thought-provoking reading material which the Primary 7s simply couldn’t put down! Thanks must go to the staff for the follow-up statistics provided exclusively from the questionnaires our pupils completed at the end of the session. This will prove very beneficial as we continue to strive to nurture and support our pupils’ emotional and physical well-being within the school. We look forward to welcoming the staff back in the near future and highly anticipate the next exciting instalment of their Uberheroes comic! The children in my class effectively connected with the characters and the story content evoked mature and open discussions from our Year 7’s. The topics covered are prevalent and it is so essential that young children are aware of the support that’s available. Young children have very real fears, worries and anxieties and this is a superb vehicle for them to express these in an open and inclusive way. They learnt how to talk as well as how to deal with whatever issues may arise in their lives; whether that be now or in the future. My kids enjoyed the role-play reading of the comics and the discussions around each scenario. The Uberheroes programme captivated their interest right from the very start. In November 2017 we were delighted to welcome the Uberheroes Facilitation Team to our school. The introduction captivated the children and the wide variety of characters totally engaged the children for the duration of the workshops. 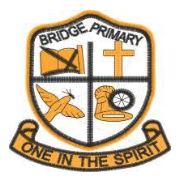 The topics covered were extremely challenging to P7 children, the discussions around topics such as cyber bullying, drugs and self-harm were taken seriously and with a degree of honesty in a safe and controlled environment. Children don’t normally get the opportunity to engage in discussions such as these difficult mental health issues, however, the way the facilitators delivered the programme was excellent from the point of having difficult conversations in a safe environment. The Uberheroes message was so strong that P7 felt so strongly that they portrayed the main characters on a display board with an explanation of the work that they were doing as a class. The class are eagerly awaiting the next instalment of the artistic comic and hoping that some of their suggestions for storylines have been included. “In April 2016 a group of our year 9 students took part in an exciting new programme focus group where the young people were presented with an unique early intervention concept for young people called Uberheroes® – this concept was based on a Superhero style comic which dealt with two issues, that of self-harm and cyber bullying. The pupils read the 4 page sampler of the comic and were asked to discuss what they as young people liked about the ideas and what they didn’t like, what they would want online for helpful resources, and would they prefer plays or multi-media presentations. The pupils shared their thoughts on the comic format, how it was age appropriate, how it was realistic of the types of problems they are facing and suggested that they would be keen to use this as a platform to talk to their parents. The experienced Uberheroes® facilitation team from Hope4Life returned in October 2017 to speak with the same group of students; they brought with them the comic that the young people were involved in developing and the students were really keen to read this very professionally drawn and written comic. They enjoyed the engagement and discussions on the issues of cyber-bullying and self-harm helping to come up with solutions to benefit the character in the story. From these sessions the students were able to think of how they could better cope and overcome these issues, who they should talk to and how the good advice given by the Uberheroes staff could be used in their own lives. During both visits the students were really engaged in the group activities and were keen to discuss these issues with their peers and the facilitators. We are all looking forward to future visits in the New Year when we plan to involve the whole year group in the Uberheroes® play facilitation and with additional comic discussions dealing with other challenging topics. In January 2018 my primary seven class participated in an Uberheroes programme that focused on themes such as self-harm, cyber bullying and death of close family members. These topics are very rarely discussed (if at all) within the primary classroom as they can closely relate to some of the pupils and prove to be contentious for teachers to discuss. However, the Uberheroes programme was delivered in a safe, creative and relatable way for the primary seven pupils to discuss these issues as most of the class were attracted to the stylish and modern look of the comic books. After discussing what each of the superheroes represented on the front cover of the comic book the class read through the story and split into focus groups to draw from the various themes that arose. The focus groups were extremely beneficial as pupils were able to contribute what they already knew surrounding the topics and this allowed the facilitators to implement knowledge and information on why these issues may occur in people’s lives. From these focus groups the facilitators were also able to inform the children of the appropriate channels to go through if they ever come across or experience any such topics and issues. This was the main learning point of the lesson as pupils were able to look at proactive steps they could take to deal with these serious issues. After the session concluded it was evident from the feedback given from the pupils that they had learned a lot more about mental health and cyber bullying than before the session had occurred. The facilitators were extremely helpful and great and delivering the lesson at the appropriate level as the children loved listening to what they had to say. I am looking forward to the second session as the kids have had a lot more time to think about contentious issues that happen outside of school. A huge thank you for the facilitators taking the time and effort to come in and deliver such an effective and worthwhile programme. Darren (10) from Belfast said “I don’t like comics, but I love Uberheroes and what they can teach us”. Jo (14) from Carryduff said “I love that you have combined learning with fun, love this as a concept for young people to learn how to overcome mental health issues”. “’The arrival of the Uberheroes® in school caused quite a stir amongst the children in my class. Children of this age tend not to get too excited by the arrival of guests but this was certainly not the case here; once the Uberheroes® began discussing the important themes involved, they took time to listen. As a standard, it is difficult to get children to engage with mental health and resilience issues as they can be very self-conscious. However, by facilitating the discussions midway through and letting them take the lead this gave the children the opportunity to focus on what was being discussed and to decide what the outcomes from these discussions should be. In what are very pressurised and ‘full-on’ lives for our children, it is good to know that there is a programme available for them to fully engage with and have a safe and secure environment in which to discuss some difficult subjects. It is important that our children and young people are given the opportunity to address these issues and react in a range of different forms beyond the simple teacher at the top of the class approach and the Uberheroes® programme gives us a new and dynamic way in which to enable children to have these important conversation but to uncover ways to prevent these from being issues in the future. Amy (13) from Belfast said “I love that this comic is something I could use with my sisters and Mum to talk about my fears and feelings”. This was an excellent opportunity for our children to engage with highly sensitive issues that are, all too often, ignored in everyday life by the adults in their lives. Topics such as self-harm and drug addiction were addressed in an open way that gave appropriate context to the problem. The layout and presentation of the comic really appealed to the children and I believe that this helped them to understand the problems at a level entirely appropriate to their maturity. As a teacher, I was delighted when I realised that the children themselves were discussing the issues among themselves in a mature and understanding way without any prior prompting from myself; the workshop gave them the language to make this possible. It is clear that real learning opportunities came about as a result of this session and it would be brilliant to see more of the same (especially in Irish! ).